Only I can hear you all ask one important question: what does Finding Chaya even mean? Well, “Finding”, as I’m sure you already know, means to look for, discover, or search for something. It could be a friend, a new dress, the button you lost off your jacket, or that special ingredient to make a dish zing. It can also be something more conceptual, not quite a “real thing”. Raise your hands if you’ve heard or said phrases like “going to find myself” or “I want to find my soulmate”? I’m pretty sure one of the big selling points of universities now is that you can “find out” who you really are over the three years. So, if we’re honest, this whole “finding” malarkey sounds a little bit corny. But don’t worry, it’s going to get cornier before it makes sense. 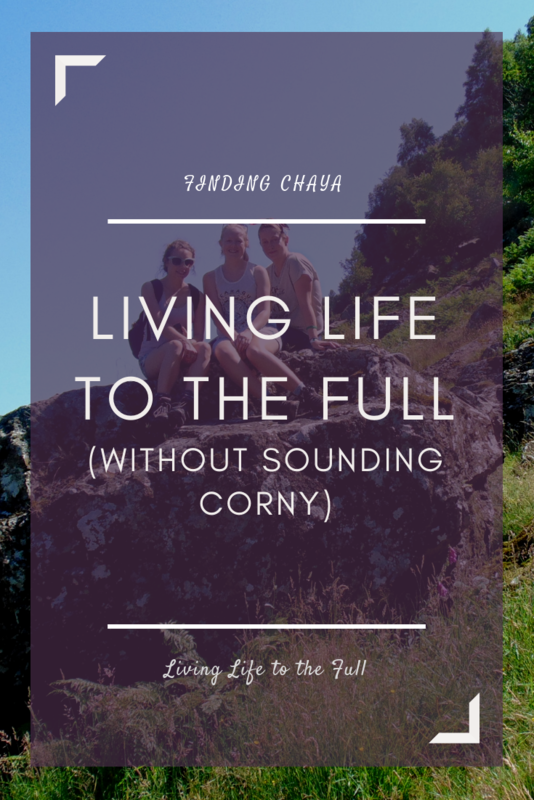 If we’re going with corny ideas that include the word ‘finding’, is there anything cornier than the idea of “Finding Life” as if it’s a concept that we can learn? I have seen so many memoirs, biographies, and other books from people who have gone in search of the meaning of life that it has started to get a little boring and repetitive. So it’s really kind of ironic in the best way that “Chaya” is the feminine version of the Hebrew word for “Life”. 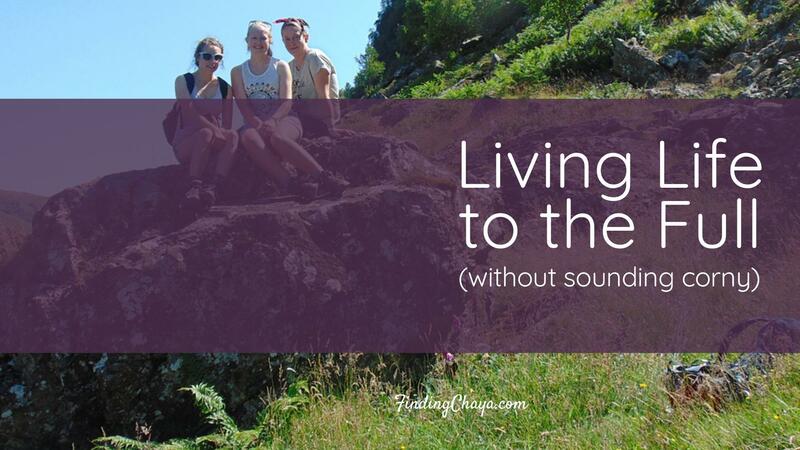 Yes, when translated into English, “Finding Chaya” means “Finding Life”. At least in Hebrew it sounds a little less corny and a little more holistic/mystical/spiritual. So why have I opted for a name that I have just admitted sounds ridiculously corny and overdone? Believe it or not, there is no such thing as a Christian girl cookie cutter. As Christian women, we are not called to fit into one mould for how to live our life. When Jesus told the disciples that He had comes so that they may have a full life, He never implied that they were all to have the same life. And just as each disciple had a unique life and gifts, so do each of us. He wants us to live out that life in the fullest way that we can. The most striking part of this verse is just one word… “Full”. Not just one part of your life but the WHOLE OF IT!!! The original word for life in this verse, “Zoe”, means your spiritual or divine life. So Jesus is saying that He has come so that those who follow Him may have a full spiritual life. “To the full” shouldn’t mean a life that looks like that of the holiest of holy Joes. It should be filled with more than just doing what is “expected” of Christians. From the clothes that we enjoy wearing through to the food that fuels our days, everything plays a role in living a full life. That’s why Finding Chaya won’t just be writing and talking about the spiritual aspects of the Christian life. Yes, we will be asking what it means to have a prayer life that fuels our full life, enabling us to fight the good fight. But we will also be asking what the Bible has to say about everything from our health through to how we need to treat the Earth we live on, and everything we live alongside. Because figuring out what life looks like is not just about reading your Bible everyday. Super important, not to be skipped, but unless you’re out there living what you’ve read, WHY DO IT? Basically, FindingChaya.com is the digital voice for women who want to live out the Bible that they read. They want to go on weird, wacky, wonderful adventures with Jesus. They want to live the big, huge, full life that they have been offered through Jesus’ sacrifice and resurrection. That’s how Finding Chaya ended up with a spiritual-sounding yet kind of corny name. Well, and because “Finding Chaya” sounds so much better than “Finding Life”. Thanks! I’m really happy it’s finally happened and so excited to see what happens next.